They are excited and overwhelmed. And why shouldn’t they be? Their hard work has borne fruits. 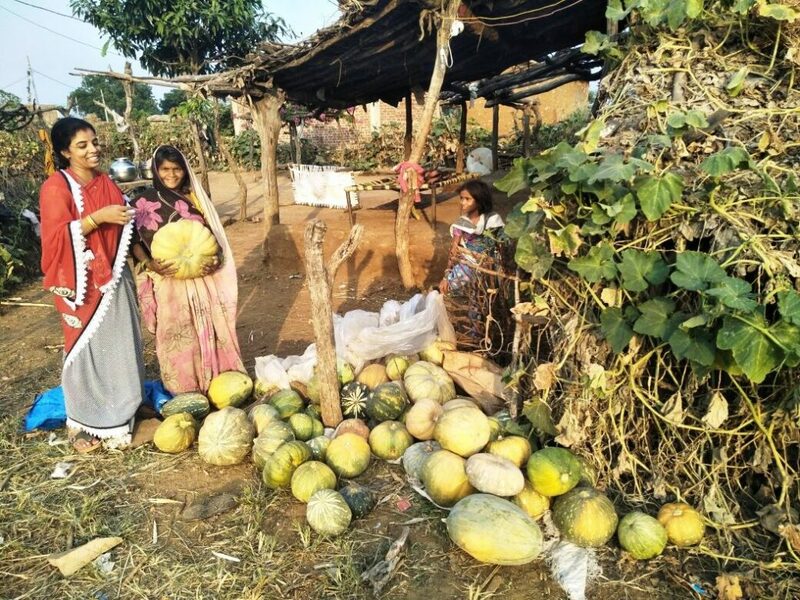 Most of the residents of Kapuriya, a tribal village in the district of Sheopur in Madhya Pradesh, have grown vegetables in their backyard. 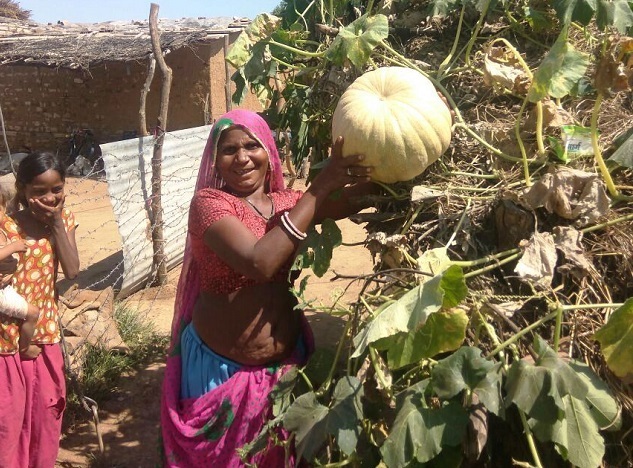 Their poshanwaris or nutrition gardens are thriving and how. 25 km from Karhal Block, Kapuriya, located in the forest area, is home to two communities: Saharias (49 families) and Patelia (31 families). Most of the tribal families work as labourers. Due to poor transportation facilities and infrastructure, residents lack access to basic amenities and are almost cut off from the mainstream. Suffering from malnourishment and poverty, the people of Kapuriya ate vegetables only during monsoons. Greens and fruits, otherwise, never became part of their daily diet, leading to an insufficient nutritional intake. To introduce dietary diversity in this village, the first step was to make the vegetables available there. 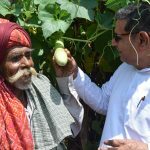 Last year, Mahatma Gandhi Sewa Ashram (MGSA), one of the partners in the Food and Nutrition Security Programme, introduced the concept of nutrition gardening in the village and encouraged residents to plant vegetables and fruits. 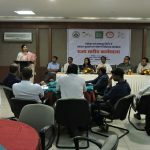 Following a survey of the residents, their land and resources, the project staff of MGSA identified 40 families that needed support in establishing Poshanwaris or nutrition gardens. Each family was given five plants of fruits and seeds of seven varieties of vegetables. 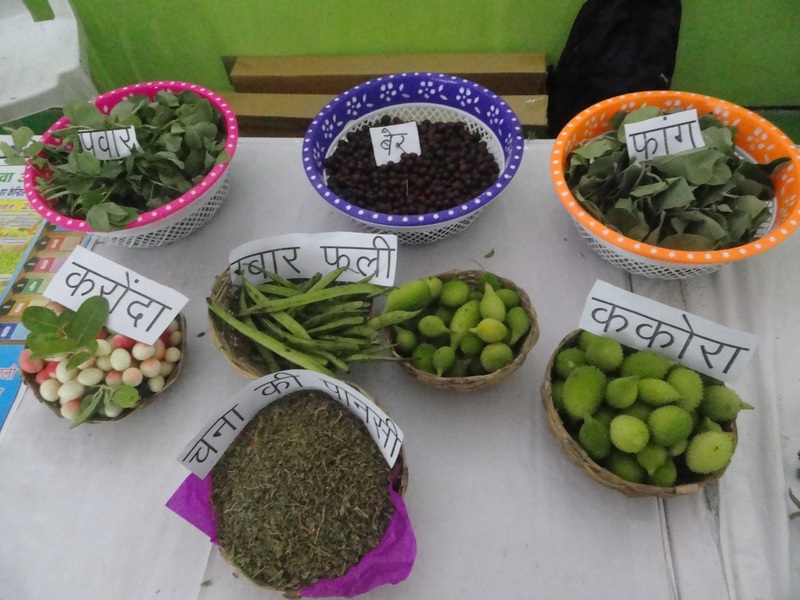 These include bottle gourd, ridged gourd, pumpkin, bitter gourd, okra, spinach and black-eyed peas (Ramas). Also given were plants of tomatoes, aubergine and green chillies. Besides, the families were given continuous guidance for regularly nurturing the garden. The hard work ultimately paid off. All the families were able to turn the neglected spaces of their houses to flourishing gardens. The vegetables grew well. The families not only consumed the vegetables grown at home but also distributed them among their relatives and neighbours. 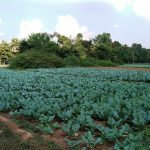 Convinced by the importance of having a vegetable garden at home, that too cost-effectively, and eating diverse diet daily, the 40 families grew vegetables in their gardens again this year. Inspired by them 12 more families showed interests in having a kitchen garden of their own. 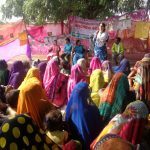 Today, out of 80, 52 families in Kapuriya have their own Poshanwaris. 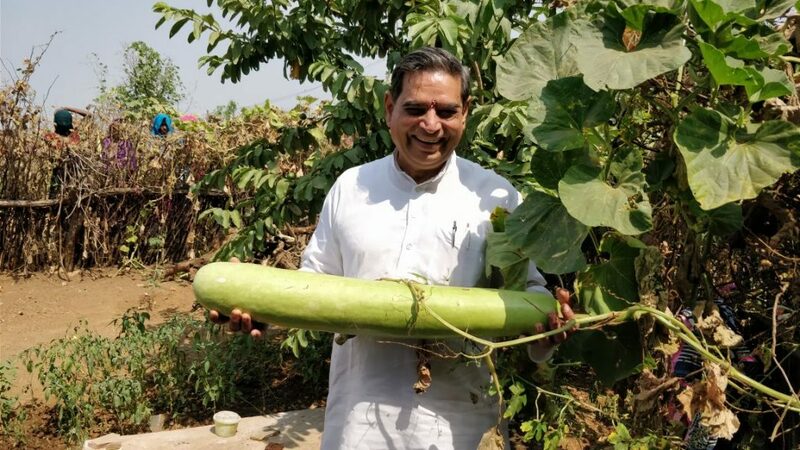 The vegetables have been grown in abundance this year, in particular, bottle gourd and pumpkin. 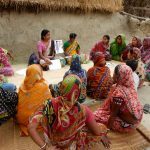 Results: Two years of Poshanwari and the intake of varied vegetables regularly by families have led to a considerable improvement in the dietary diversity at the family level and thereby contributed to improving the health of the residents. Their dependence on the market for buying vegetables has reduced substantially. With fresh green vegetables grown in their own home, they are also able to save some money. *Mohan Singh works for MGSA, Sheopur (Madhya Pradesh).